The Rochester Rhinos opened the 2006 campaign in Miami last night and things couldn't have gone much better as they handed the USL 1st Division expansion side their first loss in a 3-0 triumph for the victors. Brazilian legend Romario was making his debut for Miami FC and a lot of people felt that his mere presence would decide the match in favor of the home side. However, the Rhinos got strong performances from USL stalwarts such as John Ball, Johnny Menyongar, Juninho, Charles Gbeke, and Scott Vallow to carry the day. The Rhinos starting lineup was very similar to the one that they used versus Syracuse University in the preseason finally a week ago. Captain Scott Vallow started in goal with Nate Craft, Scott Palguta, Kenney Bertz, and Frankie SanFilippo starting in defense. T-Bone Bonseu was given the first chance to replace new assistant coach Rene Rivas in the defensive midfield spot. John Ball, Juninho, and Johnny Menyongar made up the attacking midfield with newcomers Matthew Delicate and Charles Gbeke up front. It didn't take long for the Rhinos to open the scoring. In the 7th minute, rookie defender Kenney Bertz took a long throw in that Charles Gbeke might have got a touch on before John Ball put it away to give the visitors an early 1-0 lead. Bertz's throw in ability looks to be a weapon that the Rhinos will look to take advantage of all season long. The Rhinos controlled play for most of the first half. Scott Vallow was called upon to make one of his patented athletic saves late in the half. But, the captain was able to get the Rhinos into the locker room at halftime with the lead. The Rhinos came out of the locker room even quicker than they did to start the game. Only 3 minutes into the second half, John Ball struck once again for the Rhinos. This time it was a cracker of a strike that glanced off of the crossbar and into the net for a 2-0 Rhinos lead. The Rhinos weren't done yet. In the 58th minute two new Rhinos combined to put the match away. Johnny Menyongar played a nice ball forward to Charles Gbeke who was able to finish the play nicely with a little chip over the keeper. From that point on, the Rhinos pretty much took the air out of the ball. Rookie Danny Kramer came on in the 70th minute to replace Juninho. Given the Brazilian's injury history, Coach Calloway was likely hoping to avoid any chance that Juninho could get hurt in a match that was already decided. In the 74th minute, newcomers Delicate and Gbeke gave way to two more newcomers in Neil Dombrowski and Connolly Edozien. The final sub used by Coach Calloway was Ricky Lewis relieving Nate Craft with only a minute left to play. All in all, you couldn't ask for more out of the season opener. The Rhinos most importantly got the 3 points in the standings, they scored some goals, were sound defensively, and they came out of the match healthy. The next stop on the Road to PaeTec Park is Puerto Rico where the Rhinos will take on the Islanders at 5pm tomorrow evening. - John Ball has to be the star of the game with two goals. John looked like his skillful self in the preseason and looks to be willing and able to pick up the offensive load left vacant by the offseason loss of Kirk Wilson to Montreal and the preseason loss of Jonathon Bolanos to a season ending knee injury. - Captain Scott Vallow had his usual stellar game. The good thing to hear was that he didn't have to make too many athletic saves. Given the turnover on defense, Vallow's leadership will be needed to help reduce the number of defensive breakdown that will cause Vallow to have to make highlight real saves. - Coach Calloway has brought together a whole lot of new players in very short order. Add in late retirements to key players in Rivas and Scott Schweitzer, the injury to Bolanos, and the long seven game road trip to open the season, and there were plenty of reasons to expect this team to get off to a slow start for the second season in a row. Well, that doesn't seem to be an issue after the opener. Hopefully Coach Calloway and the team can keep the momentum going. - For all the fan fare that came with his signing, I've got to give Romario the Lothar Matthaus bag of the match. Maybe it's just that he got into Miami earlier in the week and he still needs to learn how to play with his new teammates, but I'm not giving Romario the benefit of the doubt that he has the drive to dominate the USL 1st Division. His name was called maybe 3 or 4 times during the match and that is not the stuff of dominant players. 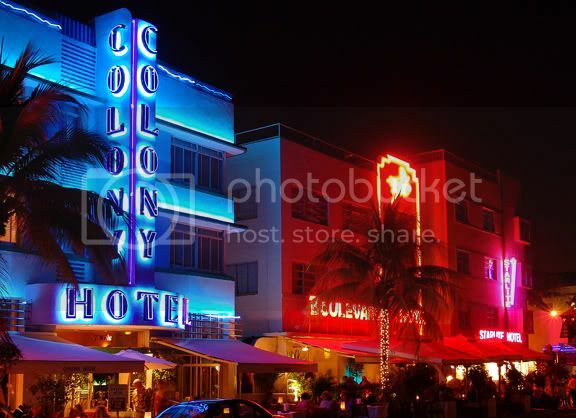 But on the bright side, at least Romario doesn't have to leave the team to go hang on South Beach. - Where were the fans? Romario makes his debut and only 3341 fans come out to witness it? It will be interesting to see how long the Miami FC owners want to stay in the business of soccer if this is the type of crowd that they can expect on a regular basis. Granted, playing on Cinco de Mayo probably wasn't the greatest idea ever. 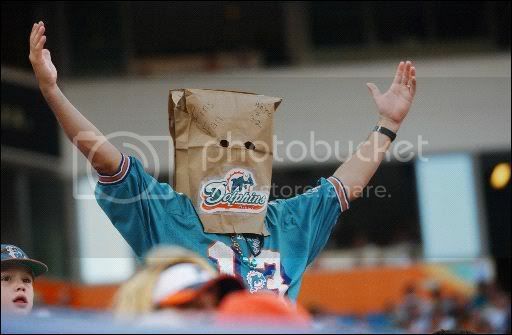 But, Miami could give Virginia Beach a run for the title of the least appreciated team in the league.